The awards for the Best Open Source Software are out! Specific winners for databases, OSes, etc. 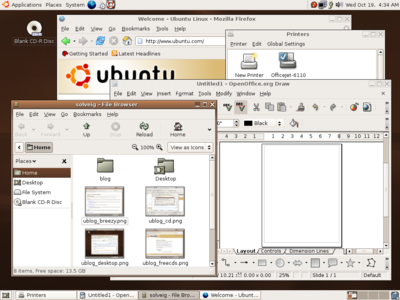 Ubuntu won for operating system. Specific winners for productivity apps. OpenOffice.org, GIMP, and Firefox won their categories as usual. Check out the lists for other ideas for new software to try! The author of this blog has done a lot of detailed work, putting together a list of apps you can use for photo editing on Linux. Ever wish you could easily make your Windows install of OpenOffice look like Ubuntu? Well, the Ubuntu folks have posted a very easy solution. Download the Ubuntu icons. It's a very easy matter of downloading a zip file and copying it to a directory under ProgramFiles\OpenOffice, then making a change under Tools > Options. 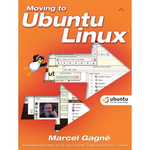 Want a book to light your way transitioning to Ubuntu? Get Marcels' book! Click here for more info and a free sample chapter! I've been writing articles on OpenOffice.org for TechTarget.com, and now I'm going to go in a new direction: writing articles about actual transitions from Windows to Linux, Microsoft Office to OpenOffice.org, etc. That means I need to talk to people who have done this! I'd like to document how you accomplished it, lessons learned, and of course to tell your story so that others can benefit and make a successful transition, as well. If you're in the middle of a transition, also, I'd like to talk to you. Contact me at [email protected], or just post a comment here, if you'd like your organization to be featured in a transition story. You can be anonymous in the article, as long as you can provide enough information about your transition. The "Of Zen and Computing" blog has a nice article on Linux and open source and just what the deal is. The deadline is October 31st! Still plenty of time to enter! It's another contest! Anyone with OpenOffice.org and a dream (that's all of us, potentially) can enter. It's the Worldlabel-sponsored OpenOffice.org Design Competition.
" The OpenOffice.org documentation project has announced a Template & Clipart Contest. The total prize money is to the tune of $5000 sponsored by WorldLabel, which has long been a strong champion of OpenOffice.org. The goal is to increase the trove of templates and clipart. The current collection of template samples leaves a huge gap that needs to be filled. Step up and fill that gap. Winners will also have the option of including their winning entries in the OpenOffice.org installation sets available from the site. October 2006. Winning entries will be judged by a panel of three and winners will be announced." Enter! I'm definitely going to do it. It's fun, plus with more templates, OpenOffice.org will be even more appealing for those still with Microsoft Office. If you've been thinking of putting Linux on one of your old machines, but you've heard that Linux installs are horrifyingly painful, PLEASE read this. That's what I used to think, too. You will be shocked, delighted, and go "whoohoohoo!" all the way home. Here's Ubuntu, running on my ooooold laptop, just as slick and easy as can be. Ubuntu is incredibly simple to install and and use. You can install Ubuntu on an old machine (or whatever machine). Aside from the fact that nothing works 100% of the time, and wireless can be very wacky on any machine or operating system, I tell ya, installing Ubuntu will Just Work. 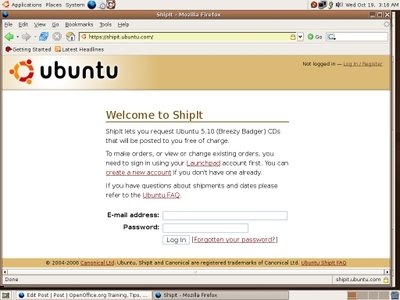 A Linux distro, Ubuntu, is incredibly slick to INSTALL and to use. You can be up and running on Linux today with no more effort than you'd expend making tea. Now, I'm sure that many other distros are great and easy too. I understand from my techy friend and author of the first Java Certification Exams Simon Roberts who supervised but didn't actually do the install or tell me anything I didn't know, SuSE rocks and is gorgeous to boot. I understand that many of my fears about Linux installation actually are based on unusual situations like setting up wireless and really old or really new hardware. And are also just based on what I heard a long time ago that is not true anymore. So anyway, it's probably not just Ubuntu that's easy and slick as a whistle. But I'm still very excited about this install. I am doing everything for this post on my newly Linuxed laptop, too, btw. I knew I would have to admit this sooner or later: I'm not really that knowledgeable about Linux. Not in a deep down kind of way. I have never and will never build my own distro and don't keep track of what GUI is my fave. I'm not afraid of it or of using other operating systems--I used Solaris at Sun for three years, Mac at Great Plains Software, mostly Windows since then. 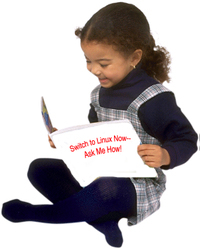 But you know, you hear these stories about installing Linux and it sounds like a quick hike up K2 would be easier. Packages. Drivers. Distros. Editing your BIOS. AAAAAAAAAAAAAAGH. 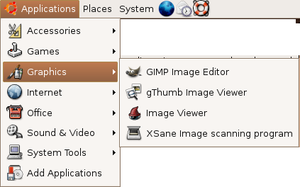 I installed, with the considerable help of my friend Simon, a Linux distro a few years ago. Red Hat 8 or something like that. Not horrible but not easy. Time to try it again, though. I considered the Linspire distro but there seems to be some cost associated with it (forget that! ;> ) and there seemed to be a lot of buzz around Ubuntu. Plus you've GOT to love a distro with this name. I bought this laptop, a Dell Latitude CPX, used for $400 from Half.com at least three years ago. I tried to check what its specs are and couldn't see it offhand, but you can figure it out generally. A roughly seven-year-old laptop. Defiitely not less. I also installed Ubuntu on my four or five year old HP Pavilion 6835, 800 mhz machine with 300 MB memory or so. I connected using a standard Ethernet card to my in-house standard Ethernet network. No wireless. (Wireless is a pain in the patookus on any system--at least in my experience.) The Ethernet card just went in the little slot on the left side of my laptop, and the dangly thing connected to the normal plug of the Ethernet connection. My desktop already had an Ethernet card installed. Like a breeze. I didn't partition the drives or do anything fancy. I just said yes, take over the computer, leave no data behind, etc. I had the computers hooked up to the Internet. The install went out to the Ubuntu site and got extra files it needed, with no fuss or muss dealing with the connections. I did nothing complicated. I entered what my name and password should be. That's about as complicated as it got. Doesn't zip really fast on my laptop, and I haven't used the desktop a lot yet since I'm dithering about my monitor options. But it's definitely good enough. It's a 7+ year old machine. Very similar to Windows and Solaris. I just played around with the various selections and it looked pretty easy. OpenOffice.org is there, under Applications > Office, just like you'd expect. I got on the Internet by choosing Applications > Internet. I found my files by choosing Places > Home Folder. It's all pretty logical. Most windowing applications aren't that complicated, and I find Solaris, Linux, and Windows all far more similar to each other than Macintosh. The laptop doesn't have a CD burner, just a CD R drive, so I hooked up my USB Iomega CDRW external drive to it. I inserted a blank CD. And it just worked--a message popped up asking what I wanted to do. It was just like burning a CD on XP. I might have squealed with delight. Printing worked fine, too. I hooked up the printer directly the USB port of my laptop. 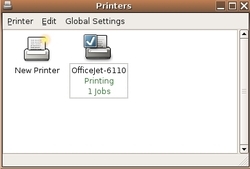 I chose System > Administration > Printing, double-clicked the new printer, answered the simple questions, and selected the printer I use. Didn't have to go hunt down drivers or anything. I haven't set up Thunderbird or anything for email since I'm not using this machine for that. I'm pretty pumped about the printing and the other hardware and networking stuff. The install was a breeze. Internet and hardware just worked. The layout is logical. The software is free. Come on in, the Linux is fine! Note, January 31 2006: See this update on the process re Microsoft's attempt to get in on it. I don't usually do "this is cool! go here!" posts but this is really important. Here's a blog on it, a news article, and the MIT web site. Here's someone who's actually used one and his review, Andy Carvin. This is what the story is about. Everyone talks about the digital divide but nobody does anything about it, to paraphrase Twain. Well, MIT and others are doing something about it. MIT has unveiled its $100 hand-cranked laptop computer to the United Nations technology summit in Tunisia. It's hoping to make a bunch more, for the poorest people in the world. It's running Linux, of course, and I can only assume OpenOffice.org and something like Firefox are also loaded. The machines are bright green, which is fun, and have wireless. Plus there's some kind of mesh network for peer to peer, and they crank so you can somehow generate electricity. Kind of like the mythical tv-electricity-generating exercise bike that I think somebody should invent. Kofi Annan is all about it. When Kofi weighs in, that's important. "It is an impressive technical achievement, able to do almost everything that larger, more expensive computers can do. It holds the promise of major advances in economic and social development. 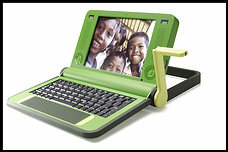 But perhaps most important is the true meaning of 'one laptop per child'. This is not just a matter of giving a laptop to each child, as if bestowing on them some magical charm. The magic lies within - within each child, within each scientist-, scholar-, or just plain citizen-in-the-making. This initiative is meant to bring it forth into the light of day". The goal is to provide the machines free of charge to children in poor countries who cannot afford computers of their own. Governments or anyone who wants to donate will pay for them; children will own them. Here's a question--will Bill Gates get involved in this, since he's allll about charitable donations in third world countries? I'm thinking, look for some sort of response out of the northwest. Brazil, Thailand, Egypt and Nigeria are on the list to receive the first chunk of laptops. The computers operate at 500 MHz, but since it's running Linux that's not the problem it would be with Windows. The screen is from a portable DVD player and you can use B/W or color. It's slated to be ready in a year or a bit more, when people have ordered and paid for 5-10 million computers. This is going to have a huge effect on society, possibly politics, very likely women's rights--it's going to be huge.